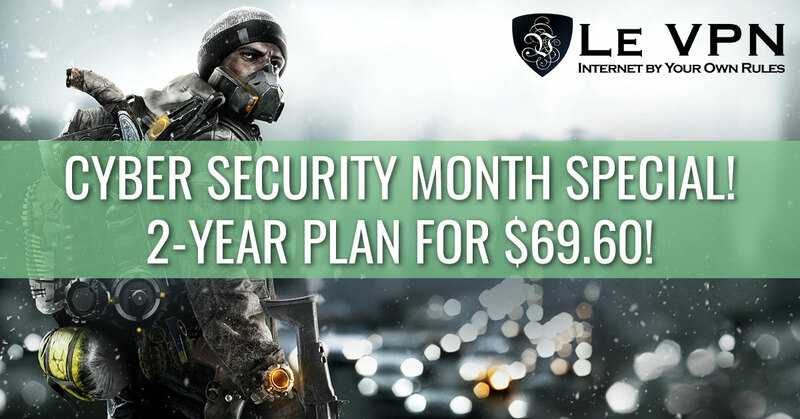 Cyber Security Awareness Month Special: 2 Years for $69.60! 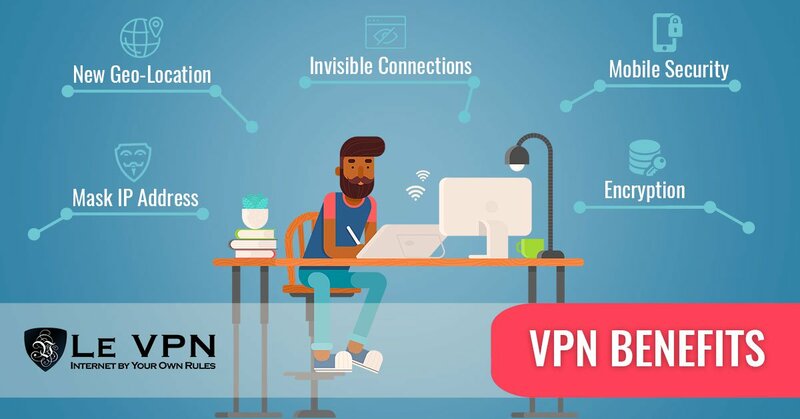 National Cyber Security Awareness Month Special: 2 Years of Le VPN for $69.60! As each year, Le VPN is supporting the National Cyber Security Awareness month, celebrated across the world each October. 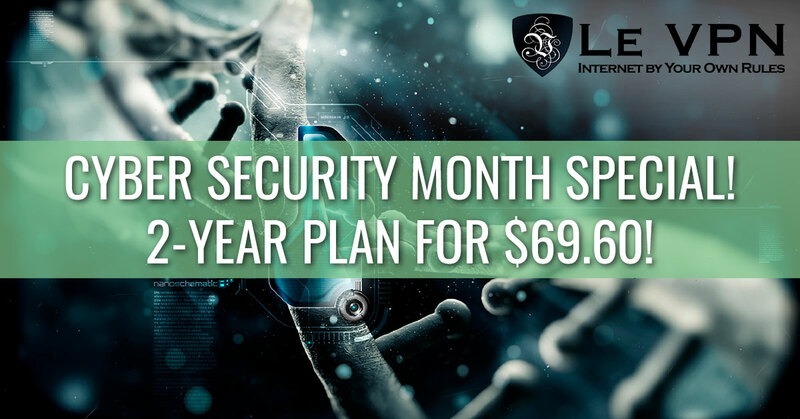 An Exclusive 2-Year Plan on Le VPN for only $69.60 during the Cyber Security Awareness Month of October! Or as low as $2.90/month! Wonder what is included in this special Le VPN plan? The answer is very simple – EVERYTHING! Le VPN software for Windows or Mac, available in 5 languages – to protect your computers and laptops! Instant download! Le VPN mobile apps for Android and iOS – to protect your phones and tablets! or an unlimited number of connections on unlimited devices when installing Le VPN on a router level! Learn more about using a VPN for IoT and connected devices. SmartDNS configuration on your smart TV, game consoles, routers, and other smart devices. IP address change to 114 countries! 4 VPN protocols for maximum security and compatibility across all devices. Still not convinced? We offer a 7-days no-questions-asked money back guarantee! Don’t like our service – we pay you back! Hurry up to take advantage of this special 2-year plan offer! This promotion runs only during the month of October, so don’t miss it! Interested to know more about cyber security? Here’s a list of our top articles published recently on this topic. What are the security advantages of using a VPN? How can I make my VPN even more secure?